Meehan Chiropractic and Wellness is a wellness-oriented family practice. Our patients range in age from infants and small children to senior citizens. Most of our patients are referred to our office by other satisfied patients or by other healthcare professionals such as primary care physicians, neurologists, OB/GYNs, dentists, physical therapists and massage therapists. Dr. Meehan believes it is important for all healthcare practitioners to work together towards a common goal of helping you improve your health and quality of life. 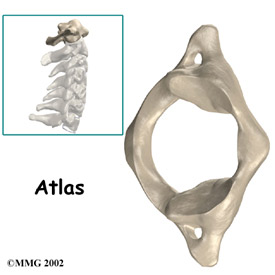 Our approach begins by utilizing the combination of two unique, state-of-the-art Chiropractic techniques – Atlas Orthogonality and Activator Methods. We may also use electrical muscle stimulation, ultrasound, nutrition, detoxifying footbaths, warm laser therapy/phototherapy, myofascial release, pulsed electromagnetic field therapy (PEMF), Rife Energy Medicine Technology, ice and/or heat therapy. In addition, Dr. Meehan will suggest habit/lifestyle modifications, exercises and stretches, nutritional supplementation, postural stabilizers such as a sleeping pillow, lumbar support or custom foot orthotics. Chiropractic is based on the premise that the body heals itself naturally from above down inside out. When there is a disruption or interference between the central nervous system (brain) and the peripheral nervous system (spinal nerves) due to spinal joint misalignment, the body is in a state of dis-ease and cannot function optimally. Chiropractors call this interference the vertebral subluxation complex or VSC. Left undetected and corrected, VSC will cause joint immobility (stiffness), muscle spasm (tightness) and inflammation (heat) and nerve irritation (pain or numbness/tingling). Over time, the joints will degenerate (arthritis), the muscles will be in a chronic contraction (trigger points), discs, ligaments and tendons will weaken (inflammation) and the nerves will be chronically overstimulated (pain) or understimulated (numbness/tingling and muscle atrophy). The good news is that the vertebral subluxation complex is treatable and reversable. If you are diagnosed with VSC, we will outline a detailed care plan for you. We want you to know 3 things: (1) what and where the CAUSE of your problem is, (2) what we are doing to help you and (3) what you can do to help yourself. We encourage you to take an active role in your healthcare. If we are unable to help you with your situation, you will be referred to the appropriate healthcare practitioner.